Everyone wants to believe that their city is the best at this or that. It’s fun and ego boosting, but what if was all created just to sell real estate? Hi Hoboken. Let’s get one thing out of the way. I love you. I was born here. I grew up just a few towns over in Fairview. I’ve been in the music scene here for the better part of three decades. I’ve performed/promoted at your best — and your worst — places. I own a business here. I live here. I’ve seen your evolution from gritty city to confused suburb. As a business owner, I’ve had to evolve myself in order to make things work here. Having said all that, please stop believing your own hype. In recent months, there have been a bunch of lists touting the greatness of our li’l city. And she has her greatness, don’t get me wrong. However, every single one of these lists — including the latest calling her the “Hipster Capital of America” — were created by real estate blogs who clearly have never been to Hoboken. Some of the lists are flattering. Some even factual. The ones I list here are ridiculous and could actually be harmful to our li’l city. Progress is important. Having an active, growing tax base is important. Hoboken has no real industry at this time to hang her hat on. Not like the old days when it was an industrial port city. So bringing in new money is important. What’s not important is stripping out her personality to do it. It’s not important to drive out those businesses that are already here trying to grow with the city. The following are examples of Real Estate companies simply trying to drive money with a false view of what actually makes this place great. In doing so, they risk damaging Hoboken, leaving nothing but a boring, wealthy retreat. There’s nothing wrong with money or success. There’s just no reason to trample our square mile in order to achieve those things. The Most Hipster City in America? OK, there are a lot of things wrong with that sentence, but mostly it’s that whoever created this list doesn’t know what the word ‘hipster’ means. First of all, the only criteria listed to reveal apparent hipsterness are the number of yoga studios and cafes per 10k people, a population of 50k or more, the number of people ages 24 to 34, and the percentage of people holding a bachelor’s degree. As a cafe owner, I know my clientele. They are teachers, doctors, students, bankers, moms, etc. They are not hipsters as per the definition derived by so many episodes of Portlandia. There isn’t anyone coming in with a manual typewriter, wearing ill-fitting mismatched overpriced vintage clothes, sipping a frapped whatever while listening to an old vinyl record on a turntable in the corner and spouting how they hate these things because it’s not hip to like anything. Taking yoga classes, drinking coffee, being young and educated are not exclusively hipster traits. This list originally appeared on the website called Find the Best. While not overtly a Real Estate blog, it is associated with a site called Find The Home, which is. The most telling of evidence that the creators of this site have spent little — if any — time in any of these cities is the insulting link text that takes you to their list. Obscure? Forget that Hoboken is the birthplace of Baseball and Frank Sinatra — and the many references in pop culture from cartoons to movies — San Francisco is on this freakin’ list. Iowa City. Seattle. Ann Arbor. Seriously? Obscure? Best Downtown in North Jersey? How is this one even possible? Considering the high rate of business closures and empty storefronts in town. Especially on Washington Street. This makes me wonder about the validity of the American Planning Association who pinned that monocle on Hoboken. According to their site, this is an “independent, not-for-profit educational organization that provides leadership in the development of living communities.” In other words … Real Estate. Did those who voted on this not tour the city before making this claim? It’s hard to miss the shuttered businesses. Was this simply propaganda to attract the kind of development that could make it a great downtown? If it was, than they are part of the problem. Landlords start to believe the hype and jack up their rents to the point where even chain stores can’t afford to be here. Forget about mom and pops. Most Walkable City in United States? Hoboken has an average Walk Score of 95 with 50,005 residents. Hoboken has good public transportation and is very bikeable. Now, I’m not disagreeing with any of this. It’s just that I would take this label of ‘Most Walkable City’ more seriously if it had come from a fitness or a travel website, rather than yet another realtor. When you click on the map to get the so-called ‘walk score’, you’re simply taken to property listings. One of those listings is for an apartment whose description says Leonia but the zip code is Fort Lee. In it they that claim the commute to downtown Hoboken is a three-minute walk. Has whoever created this ever even been to New Jersey? For those unfamiliar; Leonia is about 12 miles from Hoboken. One of the The 10 Best Places To Live In New Jersey? I happen to agree that Hoboken is a great place to live. The problem with this list is that it only refers to the high income levels and expensive housing as the reason for it being a great place to live. I would think the more difficult it is to afford a place for the average resident, the worse it would be. However, the site Movoto is a real estate site that seems to thrive on high-end listings. Not a single mention of the restaurants, parks, bars, proximity to NYC, public transit, low crime, and so on that would usually be the criteria for finding a great place to live. However they do mention Baseball and Frank Sinatra, so points for that. One of the Snobbiest Small Cities In America? 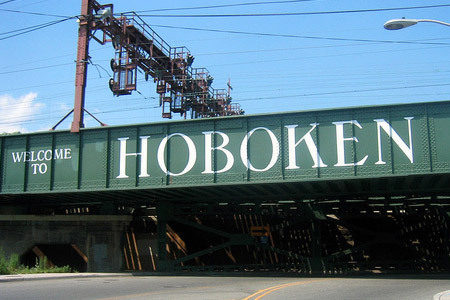 Movoto has several other lists where Hoboken is ranked pretty high. Again, this is to sell Real Estate. However, I can’t see how labeling a city ‘snobby’ would be a good thing. That is unless you were trying to attract snobs. Locals here definitely are world-wise and well off. Hoboken also had the seventh highest percentage of population with at least a college degree. Are we now saying being a snob and being successful go hand and hand? Has the culture of negativity spewed by reality TV now become actual reality? Are we saying calling someone a snob is a compliment now? Does that mean it’s a good thing to be a bad person just because you have money? We may not be filet mignon, but we’re certainly not big macs. Our food is not fast food but it is affordable, healthy, delicious and 2014 was our best year ever. Our customers come from all walks of life and we treat them all the same. There’s no snobbery here. If someone wants to go get an expensive meal in Hoboken, they are more than welcome. Don’t pigeonhole an entire community because your writers can’t see past the sticker prices of the apartments they’re trying to sell. There are other lists floating out on the web. Some created by the same sites that I mentioned here. Don’t be fooled by these lists that will continue to pop up. Check the source. If they try to sell you a house, I’d take their ‘facts’ with a grain of salt.